By Steven Greydanus. I’ve written before that I take Deacon Greydanus’s reviews with more than a grain of salt. When someone rates the epic masterpiece Lawrence of Arabia at an A-, compared to the cinematic dung-heap of celluloid excrement called Star Wars I: The Phantom Menace at a B-, I have all I need to know that I’m dealing with a critic of the millennial era. 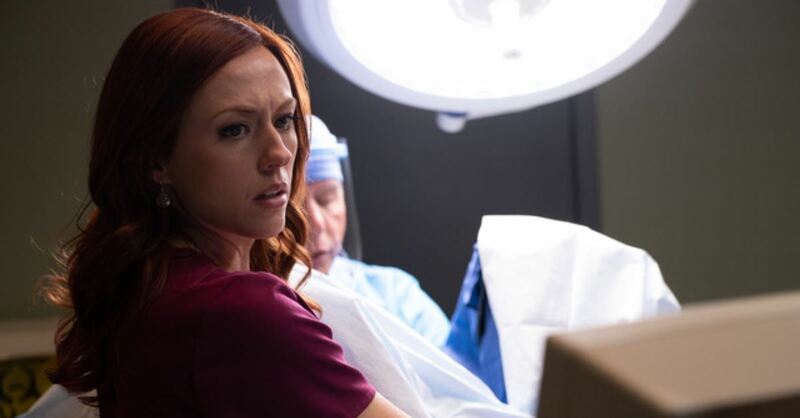 Long and short, he seems to give Unplanned a thumbs up for its tech specs, and considers it a bit above most faith based movies. But he also seems to have a problem with faith based movies in general, especially because they often preach to the choir (memo: must look at his reviews of Hollywood topical films that clearly do the same thing to various Leftist gay rights, feminist, secular and other groups). He also appears to wish more of the movie would have unpacked the seedy underbelly of the pro-life (or as he also calls it, the anti-abortion) movement. He’s pleased that there are several scenes depicting the worst elements of anti-abortionists. Nonetheless, it appears he would have preferred more. He does mention the disturbing elements of Ms. Johnson’s testimony, though he also continually points out that they are from a post-conversion POV, and that apparently casts a shadow over what could have been a better approach. Perhaps. I’ve not seen it, I can’t say. The thing that struck me is just how the review is one part ‘it shows abortion is bad’ and three parts ‘it doesn’t do enough to point out the flaws and evils of those who oppose it.’ This is one reason among a legion of them that orthodox Christianity is losing, dying and dwindling except in a few parts of the world where they don’t appear to take that approach. Go here to comment. Unplanned has now made 12 million on a film costing 6 million to make, a formidable accomplishment especially considering the media blackout of the film and the restrained, yes, that is the word, enthusiasm for the film from people who claim to be pro-life, but who spend a fair amount of energy criticizing the pro-life movement. Would that they spent this energy instead in helping to end the horror of abortion. All newly begotten human beings legally and morally innocent are Christians. All human beings must freely will to survive in the womb or become miscarriages. Our Blessed Virgin Mother, Mary freely willed to maintain her original innocence and her virginity as well as her life. Our Blessed Mother speaks for all of us, Christians and non-Christians alike, as Her Son Jesus died for all before all ages. After his video review of ‘Call me by my Name’. I gave up on Greydamus. His review is still on YouTube. He clearly showed his cards a bit too clearly with this video and took it off NCR after the deserved uproar. He is a deacon of Newark’s Tobin. Of course. I liked his review of Silence, but I guess that just might prove Dave’s point. What could be more seedier and evil than killing a defenceless unborn baby and scarring the mother for life. Such twisted logic. I remember running into something similar when on Shea’s combox once with someone who “de-converted” from the pro-life movement (so they claim) because the pro-lifers were such liars. I pointed out there were just as much lies coming from the pro-abort movement per his standard so shouldn’t he at least be of a “hang them all” attitude? He didn’t seem phased by it. This was brought to my mind reading Dave’s post and I kept wondering why? Why did this seem to crop up? Then I remembered one of Evan Sayat’s talks (almost any of the 3 heritage videos on youtube are worth watching). Particularly this one which I’ve started at a certain point in the video, but is worth watching in full. Like he points out, the greater the disparity, the more effort must be made to be neutral. Looks like Greydanus really wants to be neutral. I’m reminded of this passage from Life at the Bottom. I still find the Deacon’s reviews to be of value despite my differences with him in other areas. I think Dave Griffey’s argument would have been far better had he seen the film himself. And I tend to agree that faith-based films can suffer from an “earnestness is next to Godliness” problem that makes them less art than homily. Barb Nicolosi has pointed this out numerous times. I think that is getting better over time, but it’s still a valid point. All that said, Griffey has an excellent point about the fanged hatred out there, and how message films are churned out by Hollywood, too. The review by the UK Guardian is a superb exemplar of the hatred, where it seems the writer is clearly offended that someone even made such a film. In my opinion, film critics in general are about as useful as life skills training for suicide bombers. As far as Deacon Greydanus is concerned, I would hazard to guess that his criticism of the movie and the pro-life movement as a whole is fueled by the “anti-abortion but not really pro-life mindset” he shares with Mark Shea. I saw the movie yesterday afternoon. I was the only person in the theater. The scene with the “doctor” performing the abortion with the ultrasound was hard to watch, as it should be. Ultrasound technology has come a long way since the days of Silent Scream. The movie did a good job in depicting how easily young idealistic women get sucked into the Planned Parenthood vortex of lies. Conversely, the pro-life side using the term pro-choice to describe pro-abortionists was dumbfounding blunder. pro-lifers of all people should know that pro-abortionists should never be described as pro-choice. But then, this is major problem in the wider conservative movement as a whole. The left is light years ahead of us in the semantics. They understand the importance of semantics, while we seeming refuse to understand it. Another criticism I have of the movie is the absolute terrible job they did in typecasting the role of Abby Johnson. She is not a petite woman, so why put a petite woman in that role? I thought inserting Lila Rose in the movie in a cameo was a good idea. She is arguably the most heroic, as well as tactically brilliant, figure in the pro-life movement today. I am, however, undecided about whether the cameo of Mike Lindell of My Pillow fame as the heavy equipment operator that tore down the PP sign was a nice touch or cheesy. Perhaps a bit of both. All in all, the fact that a movie of this type was able to get into any mainstream theaters at all is a major victory. And that’s independent of the media blackout. That would have been unthinkable twenty five or thirty years ago. Six million is pretty low budget for a movie of that sort. Despite all the hand wringing we conservatives do about Hollywood, there is actually some hope there. More conservatives in tinseltown are coming out the closet. Question for Don, how is that only one side of lawsuit is under a gag order as was depicted in the film? That doesn’t make any legal sense to this non lawyer. After reading Greydanus’ review, I find it fair, for the most part. Dcn. Greydanus seems to have an issue with movies with a message. I’m not quite sure what his issue is here. After all, this is a biopic of someone with a decided point of view on the issue. And she’s a convert to that point of view, which normally makes one more partial to that viewpoint. Therefore, to try and cast this movie in a way that is impartial or “objective” on the abortion issue would make no sense. He does have a point in saying that the practical follow up care for women provided by Coalition for Life and later Johnson herself should have been included in the movie. Yes they are ahead of us but most pro-lifers understand it, they just find themselves hog tied by the terminology. If anything, the left use words that on the surface seem reasonable and anyone refuting them as intolerant. Pro-choice sounds reasonable yet still means choosing an abortion, yet if you call them pro-death they will tell you they aren’t, but just want women to make their own choices. Remember the PLO? Palestinian Liberation Organization? If anything they are a terrorist organization yet their name sounds reasonable. Liberation? Who would be against that? Not only has semantics been taken over by the left but the mindset of the right has been compromised through incessant indoctrination by the left to the point of submission by the right. That is why the right have such trouble with leftist semantics. They do not want to be seen as intolerant and hateful. There is no such thing as pro-choice. There is only ONE reason to call yourself pro-choice and that is to exterminate a baby because allowing a baby to live does not mean making a choice but means allowing nature to continue on its natural course until birth. So wanting to choose means and always will mean extermination. There is a solution to all of this. Refuse to accept their terminology. Call them pro-abortionists and don’t accept pro-choice. They will scream like banshees but so what? Babies are at stake. Planned Parenthood alleged that Johnson had taken confidential information about Planned Parenthood from the abortion clinic. They had no evidence to back up their allegation and the Judge rejected the request for a temporary restraining order. It was a stupid move by Planned Parenthood as it merely gave more publicity to Abby Johnson’s conversion. I get all that, Don. But that was not my question. The movie portrayed Abby Johnson being under a gag order not to speak to the press prior to the hearing while Planned Parenthood was able to mug the camera and say whatever it wanted. Does that pass legal muster? My understanding is that gag orders have to apply to both sides. We are talking about two separate things Greg. A gag order is imposed by a judge, usually before a jury trial, to prevent both sides from making public statements that could taint the jury pool. In trials involving the Mafia there have also been orders preventing either side from revealing details about jurors. Johnson was under a temporary injunction preventing her talking about Planned Parenthood until a hearing could be held before the court as to whether the temporary restraining order should continue. That is not unusual and happens all the time in cases alleging harm if an individual can reveal confidential information.